Pat: Hey, what’s up everybody? Pat Flynn here. Welcome to Episode 855 of AskPat. Thank you so much for joining me today. As always, I’m here to help you by answering your online business questions, five days a week. We have a great question today from Cesar. Before we get to his question, I do want to thank today’s sponsor, which is ZipRecruiter. If you’re hiring, it could be difficult to figure out where to post your job to find the best candidates. You know what? ZipRecruiter allows you to post to a 100-plus job sites in just a single click. This includes social media networks like Facebook and Twitter. It’s all in one platform. It’s called ZipRecruiter with an easy to use interface. No more juggling emails. You can quickly screen candidates, rate them, and hire them right on the dashboard there. You can find the right person fast. Check this out. ZipRecruiter is giving you, the AskPat listener, a chance to use this for free. For free. All you have to do is go to ZipRecruiter.com/Pat. Again, that’s ZipRecruiter.com/Pat to try it for free. All right. Thanks so much. Here’s today’s question from Cesar. Cesar: Hi, Pat. My name is Caesar. I’m from Columbia, South America. First of all, thank you for sharing all your information for the world. We really appreciate and just to tell you that we use some information that you share. We use that information in our community and to our audience. We started, my friend and I started our podcast channel one year ago. Today, we have 600,000 downloads and 3,000 email subscribers. My first question is in 600,000 downloads for one year, is a good number, 3,000 email subscribers is a good a number for that kind of downloads? What is specifically call to action? What specific call to actions do you recommend to convert listeners into email subscribers? Thank you very much, Pat. Have a nice journey. Bye, Pat. Pat: Hey, Cesar. Thank you so much for the question. I appreciate it. First of all, 600,000 downloads in a year. Man, amazing. I’m so stoked for that. That’s a huge number. Be very proud of that. 3,000 email subscribers. That is a huge number. It’s not, obviously, 600,000 listeners. Of course, it’s not 600,000 people listening to your show. It’s many people listening, probably to your shows multiple times, because they’re great. Wonderful job providing value to your audience there. Let’s see if we can work on getting more of those listeners into your email list, because I’m pretty sure there are more than 3,000 listening to your show if you’re getting those kinds of numbers. First of all, 3,000 is still a significant number. I want you to not discount that number. Even 300 is a significant amount. If you were to imagine all those people in a single room, there to listen to you every single week, or day, whatever, however often you come out with an episode. That really puts it into perspective, because remember, each of these downloads, each of these email subscribers are real people. That’s the first thing. Let’s talk about calls to action. The number one way to do this is and this is something I’m currently implementing, or about to implement on a much more aggressive basis. It’s not aggressive like it’s going to annoy people. It’s aggressive in terms of, “Okay, let’s start putting some work and effort into getting email subscribers.” This is something I learned from Amy Porterfield. She does this very often. Probably won’t do it as often as her, because it does take a little bit of work, but, of course, great things come with great work that you do. This is what Amy does. For many of her episodes, she creates a freebie, or a giveaway, which you can offer in exchange for an email address. By far, it’s the number one easiest thing to offer, because the call to action is simple. You’re adding more value to that particular episode. She creates unique freebies, or lead magnets, if you want to call them that, for most of her episodes, unique ones for individual episodes. She might have an episode on Facebook advertising tips. Then, she’ll offer a giveaway, which can be a quick start guide on how to set up your ad account, or something like that, or checklists are great too, or just outlines of all the information you’re sharing, especially if it’s a top ten list, post, or podcast episode. The call to action would be go to this landing page. Here is a quick way to get there. Give them a nice URL using something like Pretty Link or another link that you’re forwarding through to get to that landing page, which you can set up on something like LeadPages very simply. What she does is she has a master template where, for each of her lead magnets, she simply swaps out the image and swaps out a little bit of the text and it becomes a unique landing page for that unique giveaway. She drives traffic for each of those episodes to their respective freebie. It is by far helping her. It has helped me when I’ve done it in the past. I’m just putting systems into place right now to make it even easier to do using some of the strategies I just mentioned. That’s what I would focus on. I wouldn’t even mention anything else right now, or focus on anything else. That will give you the most bang for your buck and then you can take it from there. Cesar, thank you so much for the question. I really appreciate it. I also want to mention that hey, for those of you who are looking to start your podcasts and hopefully get to the level that Cesar is at, I have a program for you. It’s not out yet, but it’s coming out in a few months if you want to check it out. It’s called PowerUpPodcasting.com. You can check it out there. It’s for those of you who are literally just starting right at the beginning of your podcasting journey.  There is a free podcasting tutorial that I have, which you can check out too. It’s at PodcastingTutorial.com. However, I will say that this course has already had over 160 students go through it. They are raving about it. It’s currently going through a program with a beta group, or founding group just to make sure it’s great. It’s going to be released again later this year only to those people who know about it. That’s why I’m telling you now. Sign up for the waitlist at PowerUpPodcasting.com. I appreciate you guys. I look forward to serving you in the next episode of AskPat. Until then, here’s a quote by Frank Capra. “A hunch is creativity trying to tell you something.” Cool. Love you guys. Take care. I’ll see you in the next episode. Bye. Today’s question comes from Cesar, who has a question about creating calls to action to convert podcast listeners to subscribers. How do you craft the perfect call to action? What calls to action should I use to acquire more email subscribers? In this episode, I mention Amy Porterfield’s podcast, Online Marketing Made Easy at AmyPorterfield.com/amy-porterfield-podcast. I also mention Power-Up Podcasting, my new online course which will be launching soon at PowerUpPodcasting.com. Join the waitlist today. Do you have a question about creating calls to action? Record it at AskPat.com.